Since it’s the first Sunday of a new month, I’ve got a brand new list of writing prompts for you! The month of February flew by. It’s shocking to me that it’s already March, but honestly, February 2015 was not my favorite month. WAY too many snow days, way too many cold temperatures, and way too much lingering snow. I’m ready for spring! March is the month where winter starts to turn to spring, and I’m confident that by the end of this month, we’ll have warmer temperatures and brighter skies. March holds a lot of hope. Melting snow, green sprouting up here and there….lots of things to look forward to! I am welcoming March with open arms! If you’re a blogger and one of your goals is to write more posts from the heart and fewer sponsored posts…or maybe one of your goals is to provide more helpful/how-to posts…then my Blog Prompts series is for you! In January, I started my second year of posting monthly writing prompts, so I’ve got a whole stash of ideas to keep you busy any time you don’t know what to write. I hope some of these topics and prompts can inspire you to get more creative on your blog! If you use any of these writing ideas, please leave me a comment so I can stop by and read! How are your resolutions coming along? Any advice on how to revitalize your goals? What are a few tips for getting kids excited about reading? Oh The Places You’ll Go by Dr. Seuss is this year’s Read Across America Day book. Where do you want to go someday? When did you start to love reading? What would you like your children to know about reading, or who you feel about reading? When you were young, what did you want to be when you grew up? How close are you to doing that? Photo challenge: find 5 things that are growing! Maybe a few blades of grass or a bulb or two are poking through the cold ground! Happy blogging! 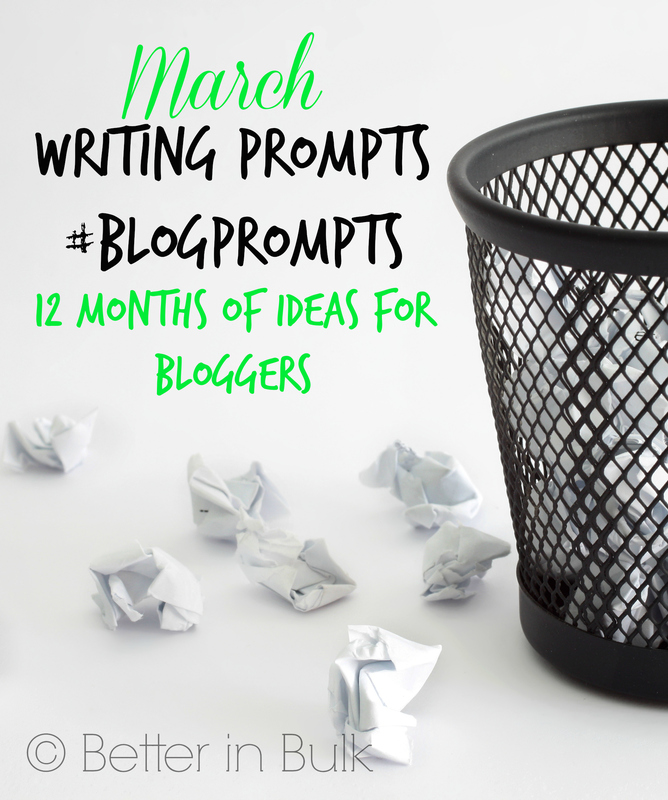 For hundreds of additional ideas to cure writer’s block, check out the past 14 months of #BlogPrompts!